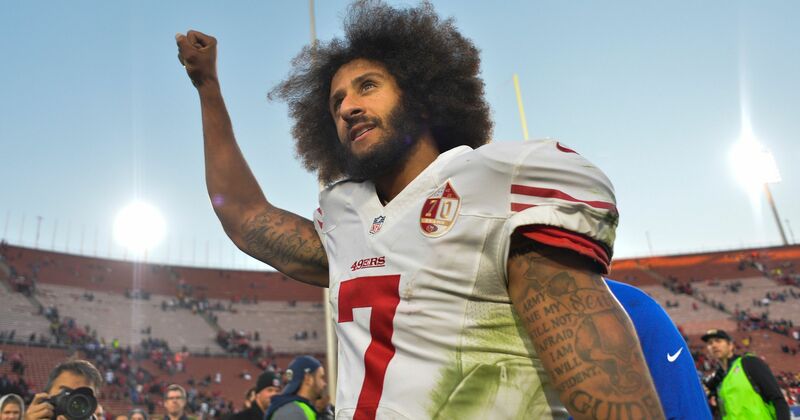 When it came to this year’s Super Bowl Halftime performance, some were questioning why Travis Scott would perform when a lot of people in the hip-hop community are standing with Colin Kaepernick in his case against the NFL. Cardi B was one to turn down the bag and stand in solidarity with Kap, not accepting the invitation to perform even with as big as a look as it is. Rihanna was also one that was reported to have turned down the gig because of the league’s handling of the national anthem protests. Earlier today, Variety reported that sources close to La’Flame said that Colin gave his blessing after consulting him about the halftime show. They even went as far as to say that, “while the two did not necessarily agree, they emerged from the conversation with mutual respect and understanding” from those conversations. Turns out, it wasn’t the case. Kaepernick’s girlfriend Nessa responded on Twitter saying that those reports are lies and there’s no respect for those working against Kap.